I LOVE the Tractor Supply store. It is the largest retail farm and ranch store chain in the United States. Since my grandparents were farmers, maybe it’s in my DNA to love this store. However, as I discovered, it not only serves the needs of farmers but crafters too! 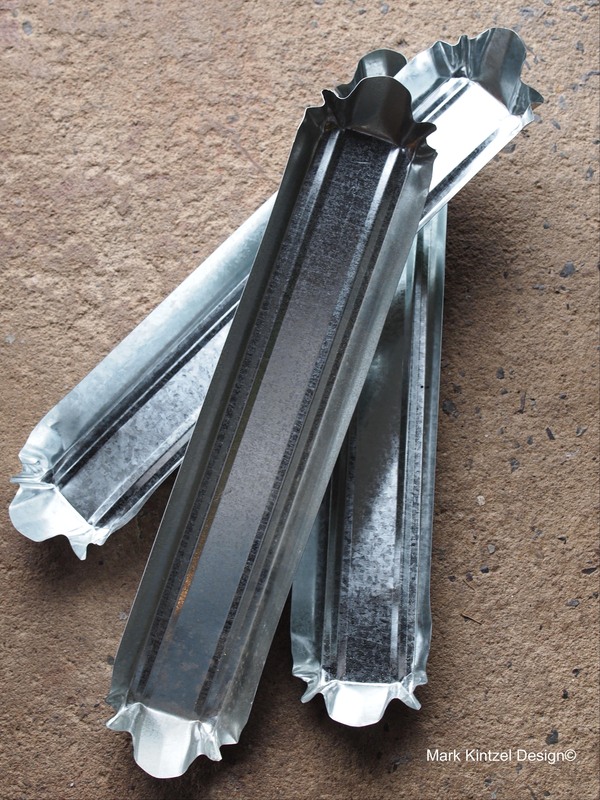 Stick with me gang….take for example these inexpensive chicken feeder trays. 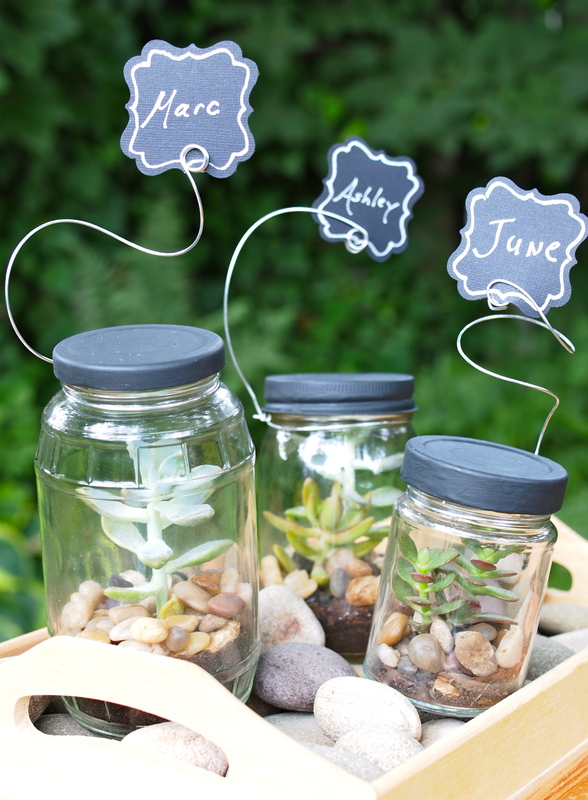 All you need are some succulents, potting soil and pea gravel and you get this! You can buy the succulents, potting soil and pea gravel at most plant nurseries. 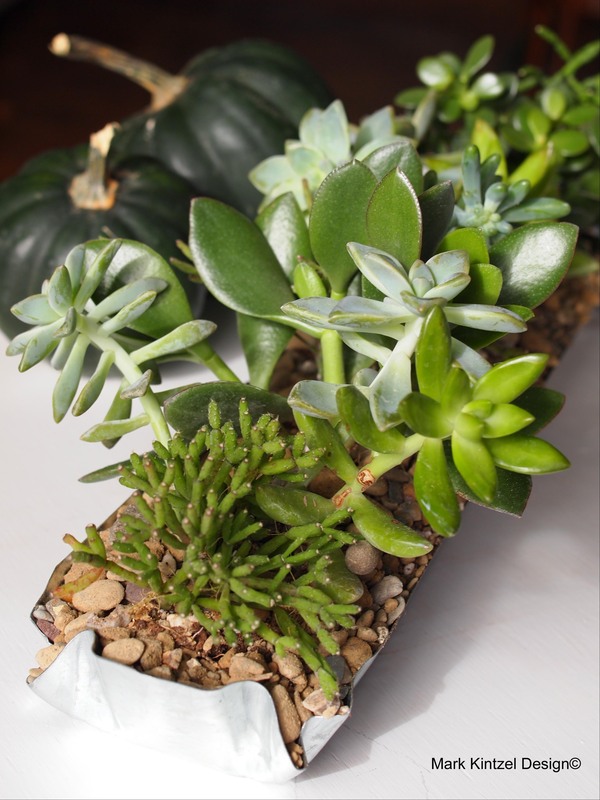 Simply add about 1/2 inch of potting soil to the bottom of the tray, remove the succulents from their nursery containers and place them creatively in the tray. So they fit nicely, you may have to remove some of the soil around the base of the succulents. Then finish off the tray with a layer of pea gravel. Place in a sunny location and water once a week. A confession…I hate carving pumpkins. I’ve hacked away at innocent pumpkins in my day but with little success. 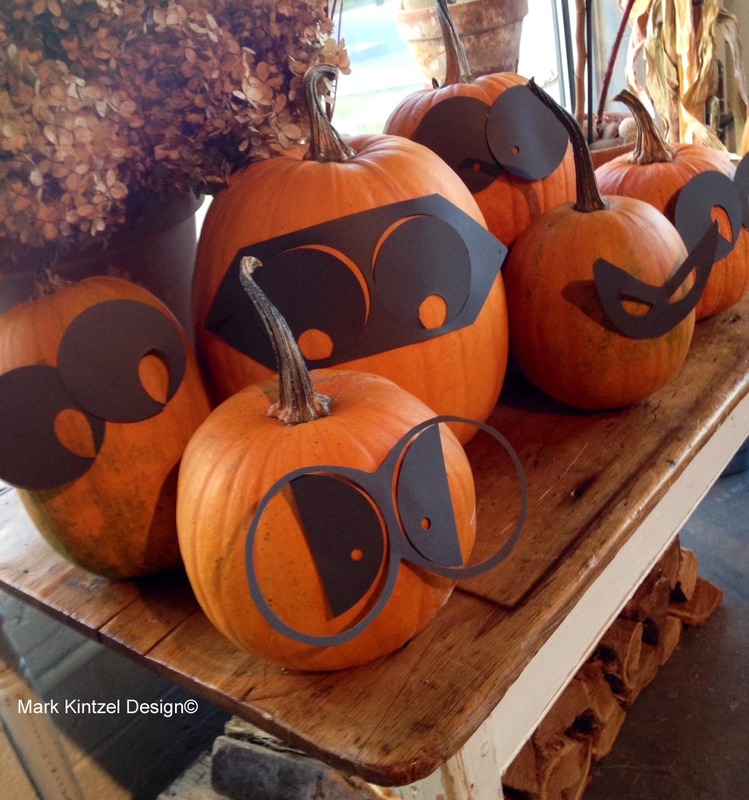 However, here’s a super easy and clean way to create unique and fun pumpkin heads which are sure to delight….without the mess and frustration. Draw circles on the paper using jar lids as guides. 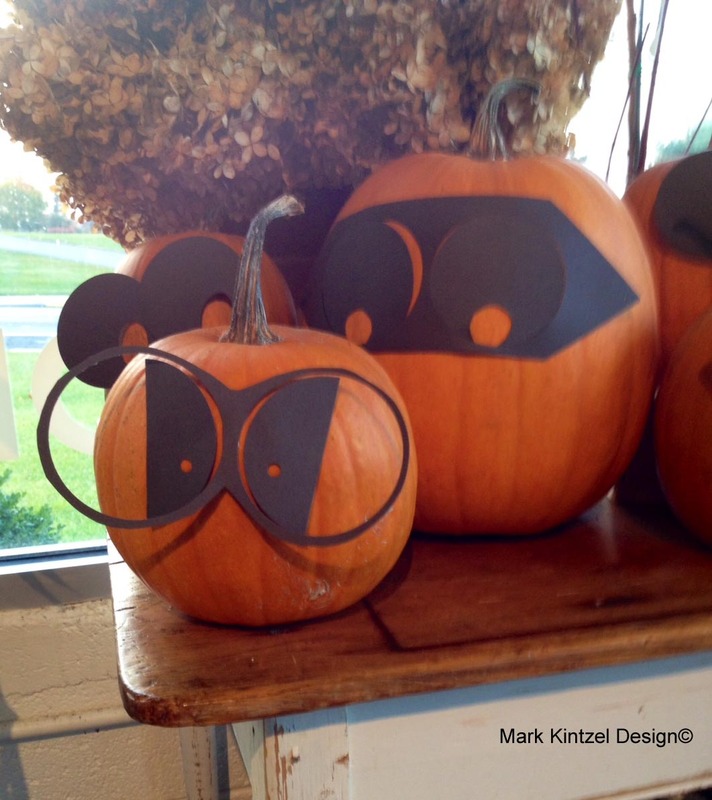 Cut, cut, cut and paste onto your pumpkins! Happy Halloween and happy crafting!!! This wreath has to be one of my favorite creations. It was easy to assemble and all of the wreath ingredients were collected at my local nursery and craft stores. Wrap floral wire around the wreath form to create a loop to hang it. 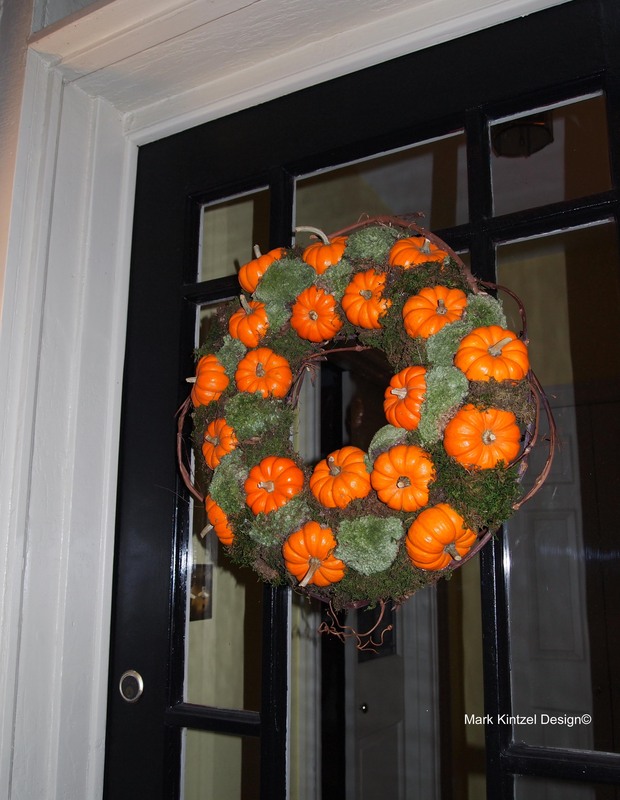 Insert floral picks into the bottom of the gourds then randomly insert the gourds into the foam wreath form. You can also put a dab of hot glue on the bottom of the gourd for additional support. This step is optional – for texture and interest, wrap grapevine around the wreath and secure with floral wire. To cover the exposed foam, hot glue moss into all of the crevices. Happy Halloween and happy crafting! Happy Sunday! 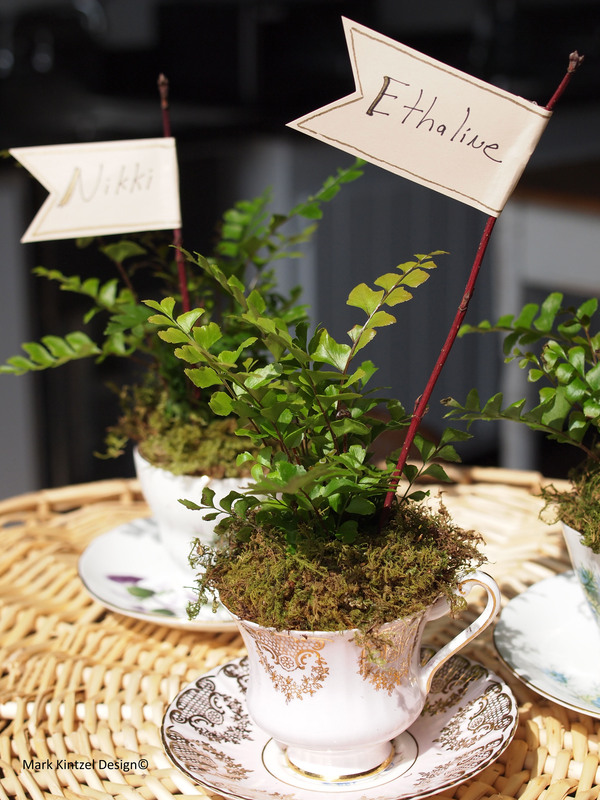 If you’re looking for a unique favor for your next event, why not repurpose some orphaned tea cups. There are a gazillion uses for these lovelies but I think they make the perfect vessels for tiny plants and look so charming. 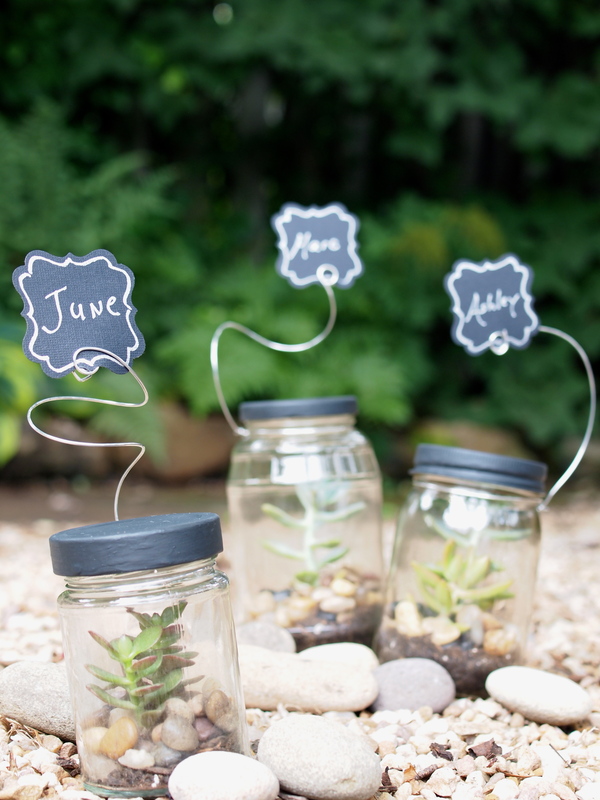 They’re perfect for give-aways at weddings or events! Simply repot the plant of choice directly into the cup. It’s important to have plenty of soil around the root system of the plant. To conceal the dirt, add moss around the base of the plant. You’re done! OR you can add hand-made place cards like I did. 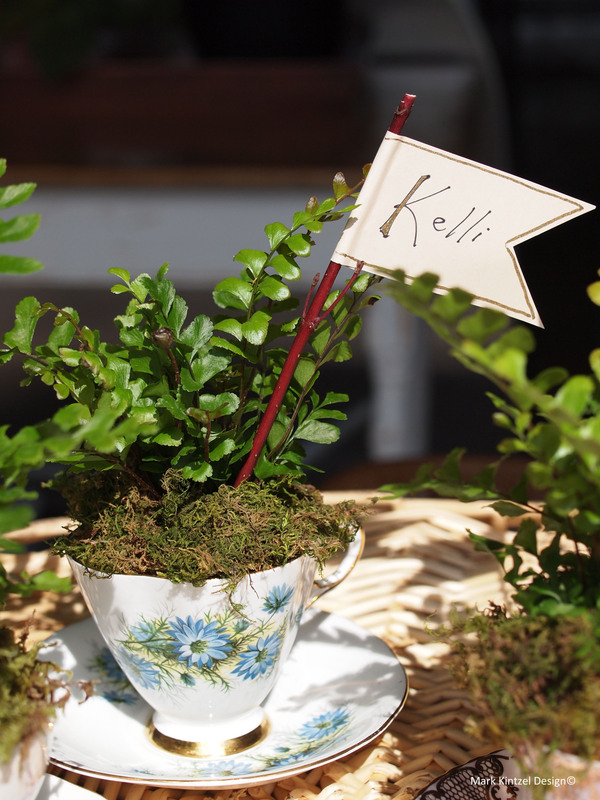 Cut paper to the desired size and shape, write your guest’s name on the card then glue it to a tiny twig. Poke it into the cup and you’re done!